Co-Dependence: Why Do We Still Rely on Liberals To Defend Muslims? When I think about Ben Affleck standing up to Bill Maher and Sam Harris, I am pleased. Then I start to think about it some more and arrive at this sad realization: It only takes a liberal to neutralize another “liberal.” The same may be said of a conservative neutralizing a conservative. It certainly is counter-intuitive because it makes sense to believe that a liberal will neutralize a conservative, because they are opposites. But these polarized opposites fail to cancel each other out because conservatives and liberals tend to talk at each other rather than listen to each other, according to a Pew Research Center study on media. Instead, the noise becomes louder, which leads Muslim Americans to question to what extent do their identity politics categorically fit into the following labels to deliver impact: “conservative,” “liberal,” “left,” “right” and the dreaded “moderate.” But I am getting ahead of myself by throwing out the labels “conservative” and “liberal” as if one is clearly the good guy and the other is not. The ironic issue is: This culture war debate is between two liberals. <Pregnant pause> Actually, the debate is between a liberal filmmaker, Affleck, and a self-professed pair of liberals, Maher and Harris. Guess who sided with the liberal Affleck in this debate and argued that Muslim Americans are not inherently predisposed to jihad or extremist violence? It is definitely important to note that a conservative, who used to serve as the GOP chairman, Michael Steele, also challenged Harris and Maher’s incorrect conclusions based on equally incorrect premises. In the end, two questions for strategic advocacy emerge: 1) What defines a liberal; and 2) Must Muslim Americans continue to rely upon liberals? One perspective might argue that, in the end, the defenders of the target, or more simply, the “saviors” in both scenarios, are white. So it does not matter. The problem is the same. The person or group caught in the middle remains the target until some “other” intervenes and uses the attacker’s words, ad hominens and tactics against him. What Defines A Liberal, Other than Himself? I applaud S.F. Clemons for calling out the “soft bigotry of elitist liberalism” because, as he astutely point outs, “liberalism is not the only tradition in the world that thinks murdering innocent people is bad, it has no monopoly on distinguishing right from wrong.” The same type of elitist-liberal thinking is what also overexuberantly jumps to label Muslims whom they agree with as “moderate” — as if conservative Muslims are automatically intolerant, and thereby, their equally peaceful approach to problem-solving without resorting to violence is devalued. The term “moderate” also reduces all other efforts to review social issues, like women leading prayer or abortion, issue by issue rather than as one monolithic understanding that is simply resolved by a fatwa. At the same time, I recognize that liberalism is complicated with additional layers of influence, such as partisan politics and religion. More philosophical ideas are attached to this and may create additional categories as society tries to examine religion’s role in philosophical and political beliefs. The definition of “liberalism” in Merriam-Webster continues: “A political philosophy based on belief in progress, the essential goodness of the human race, and the autonomy of the individual and standing for the protection of political and civil liberties; specifically: such a philosophy that considers government as a crucial instrument for amelioration of social inequities (as those involving race, gender, or class)”. Must Muslim Americans continue to rely upon liberals and thereby develop a codependent relationship that precludes any opportunity to advocate with conservatives? I used to laugh when reading Lila Abu-Lughod’s thoughtful analysis, “Do Muslim Women Need Saving?” Lughod’s question is somewhat related to the phenomena “White Men Save Brown Women from Brown Men” with respect to the “Savior Complex” problem. But the similarities end there in that the Muslim carries no specific racial identifier. In fact, I used to look down upon this statement as an oversimplification. But maybe that’s why it irritated me: Feelings represent a gut reaction. These oversimplifications may be a gut reaction. Conversely these gut reactions may be oversimplifications. When Affleck’s film “Argo” came out, I had my reservations. “Argo” served as an embellished, historical account of how a creative U.S. covert operation brought back six Americans caught up in the Iran hostage crisis of 1979 to 1981. Critics responded favorably toward the film, which earned seven Academy Award nominations. Given that the subject appealed to an American audience that follows political thrillers, all the elements were there. Within the American audience, there are sub-groups of Iranians and Muslims who probably braced themselves over whether the film would go the “Not Without My Daughter” route — inflammatory with a heavy dose of demonizing Iranians — or the “The Three Kings” route — where characters from both sides of the conflict receive screentime in nonscreaming roles. Even if one dislikes “Argo” — for its content, acting or negative associations from the hostage crisis — the film conserves certain narratives, like anti-American sentiment, and liberates others, such as U.S. government operations outside public view. Maybe Affleck’s role in making “Argo” is what was needed to get him to appreciate the nuances of identity and cultural politics. Researching the film is one of the main reasons that propelled Affleck to stand up to Maher and Harris’ so-called liberalism so emphatically. Like Latino Americans, Muslim Americans exist in many categories along the political, social and economic spectra. We cannot commit to just one identity. And that is okay. 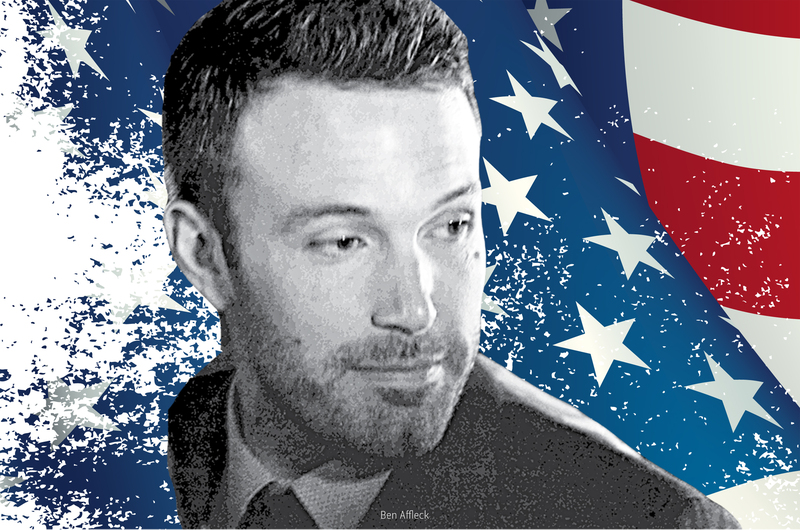 For every supportive Ben Affleck in Muslim Americans’ pursuit for civil liberties on screen, we need to embrace our diversity across the political and social spectra to pursue civil liberties on both sides of the aisle in Congress. Liberals may refer to this as progress for Muslim Americans, which is validating. However, the labels of “liberal” and “conservative” are not sufficient to explain Muslim-American goals, orientations and contributions to American life.